The wintertime weekend excursions take riders into a treeful wonderland. The wintertime weekend excursions take riders into a treeful wonderland, right through to the end of March 2019. SANTA CRUZ MOUNTAINS... while on the trip, all while learning "... fascinating information about the coastal redwoods and their ecosystems" (knowledgeable docents will also be aboard). Is this the sort of historical (train) and natural (forest) outing you've been desiring, after the holiday go-go-go? Time to get treeful, then, near Santa Cruz. 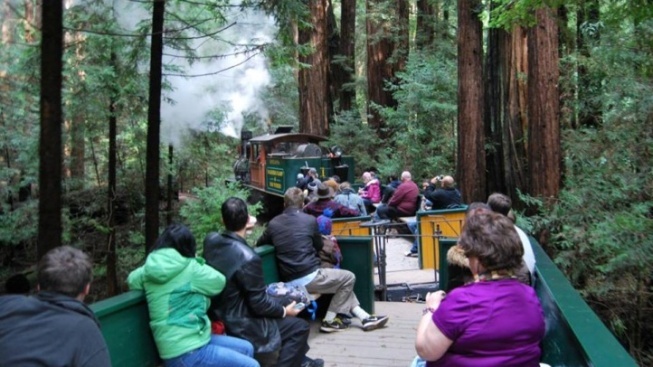 Get times, ticket info, and more, at the Roaring Camp Railroads site now.